Homecoming…no, not the kind where our kids announce they are coming home for the weekend…at FSU is exciting. From the tailgates that lead to the big football game (this year we are playing Wake Forest on October 20th, 2018) to the big parade filled with floats and bands and all that jazz; there is plenty to do and the excitement is contagious. Florida State’s Homecoming started back in 1948, but it has grown in size and enthusiasm over the years. Back then it didn’t even include the Warchant. Rich in tradition Homecoming now includes a theme, Grand Marshall, King and Queen and daily activities for the whole week. Homecoming week kicks off (this year on October 14th, 2018) with the Warchant, then includes a concert held at the Leon County Civic Center, which fills with over 8,000 students, faculty, and alumni to watch headlining celebrity artists. Spear-It Night, Torch Pursuit, Renegade Recess, Skit Night, Seminole Festival, and the big parade follow throughout the rest of the week. The week culminates with Pow Wow (Friday, October 19th, 2018), the largest pep rally you’ve ever seen, that includes entertainment from FSU’s Flying High Circus, Cheerleaders, Golden Girls, acapella groups and performances from some big name comedians. Of course, this is followed by the football game. All events are FREE with a valid FSU ID with the exception of Warchant for which tickets can be purchased through the Civic Center website using the code FSUHC. 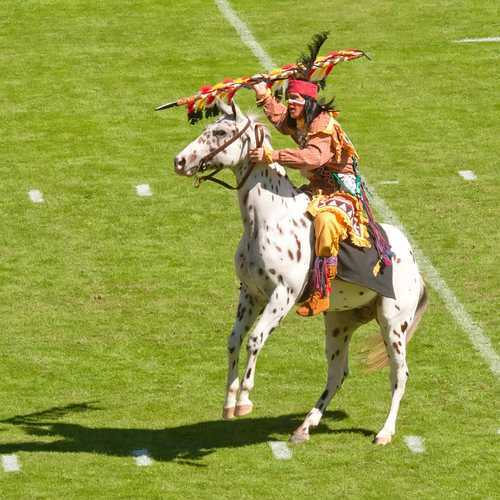 Don’t miss out one of Florida State’s biggest traditions! While just about any FSU football game is exciting, the Homecoming game is extra sensational. This is the game that many alumni come to so the spirit is extra high. If you plan to go, you may want to get there a few days before to indulge in some of the fun. Of course, hotels will cost a small fortune but remember you are practically guaranteed a good time. Hotels may be close to sold out already, but many keep a cancellation list and you may get lucky. Book as early as possible. Buy tickets early for the Homecoming game (and try to sit on the shady side of the stadium just in case it is a day game.) Remember too that traffic and parking will be a basic nightmare, so the closer to campus you stay the better – or plan to indulge in many Ubers (which will undoubtedly include exorbitant surcharges). And just so you know, the Friday before Homecoming, classes that begin after 2:00 are usually canceled to encourage students to attend the Pep-Rally.